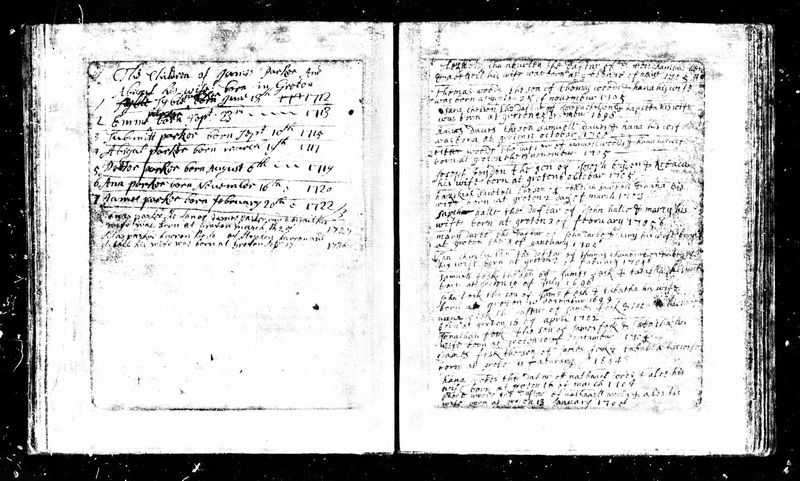 "[WILLSON] Joanna, d. John Jr. and Elisabeth, Jan. 6, 1701-2"
Vital Records of Billerica, Massachusetts to the Year 1850 (Boston, Mass. 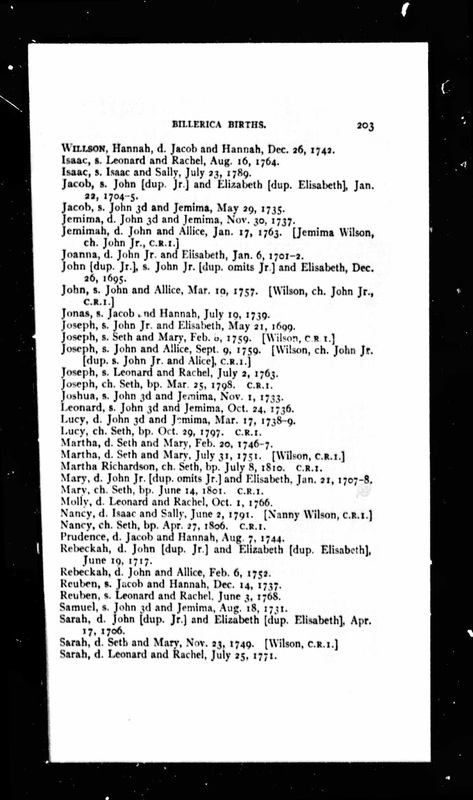 : New England Historic Genealogical Society, 1908), Births, page 203, Joanna Willson entry. Joanna Willson (1702-1786) was the 4th of 13 children of John and Elisabeth (Foster) Willson, born in Billerica, Massachusetts. She married Hezekiah Sawtell (1703-1779) in 1723 in Groton, and they had eleven children between 1724 and 1747, all born in Groton. Hezekiah was the son of Obadiah and Hannah (Lawrence) Sawtell of Groton, Massachusetts.